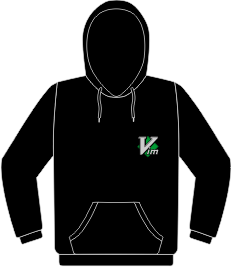 Classy hoodie Sweatshirt for handsome vimmers. - On the back of the sweatshirts, we print :wq! 'by default'. If you prefer another command or simply nothing, please note it in the 'Comments' field of your order. The printing technique of this text on the back of the sweatshirt is textile vinyl. The price of the sweatshirt does not vary.